The search for a schoolboy missing since Thursday has been widened, with professional teams and members of the public joining the effort. However, despite the huge operation, police said they have not had any "significant leads" in their attempt to trace Rory Blackhall, from Livingston. 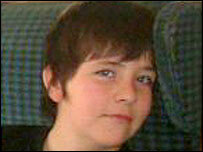 Rory, 11, was last seen when he was dropped off at Meldrum Primary School at 0830 BST on Thursday. There has been growing concern for the youngster's safety. Posters have been put up and shoppers quizzed about the youngster's whereabouts, with an incident centre set up in a local shopping area. Football fans were also leafleted at the Livingston versus Dunfermline game at Almondvale. Chief Inspector Jim Thomson said: "The search yesterday centred around Meldrum Primary School which was the last place Rory was seen when he was dropped off by his mum. "Today the search has been widened quite considerably. We've got a lot of police officers out and members of the public who've volunteered to assist us. "We also have professional search teams, including mountain rescue and search and rescue dogs." 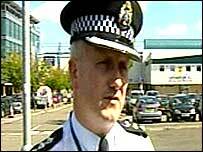 Mr Thomson thanked the public for their help so far but added: "There have been no significant leads from members of the public, unfortunately. "We continue to ask people to think about what they were doing on Thursday morning and if they have seen anyone wearing a Meldrum Primary School uniform who appears to be out of place and fits the description." A helicopter with heat-seeking equipment has already been used to scan wooded areas near the town. The woods, a reservoir, a canal and a quarry have all been extensively searched in efforts to find the 11-year-old. Officers fear he could be suffering from ill health if he has not found shelter. Rory's mother, Michelle Blackhall, has urged her son to get in touch. In a televised appeal on Friday, she said: "If you are watching sweetheart, come home. Mummy and daddy love you very much." Mrs Blackhall said Rory had been having a difficult time. She told reporters: "There have been things happening within the family that have upset Rory - a number of things over this year. "I think this final thing of going back to school, he was unhappy about." Rory is 5ft 2in tall, of slim build, with a pale complexion, blue eyes and dark brown short hair. When last seen he was wearing a navy jacket with a white stripe on the sleeve, a black Meldrum Primary School sweatshirt, a red polo shirt, grey trousers and black shoes. Officers are asking anyone with information to call the dedicated inquiry number on 01506 445650.